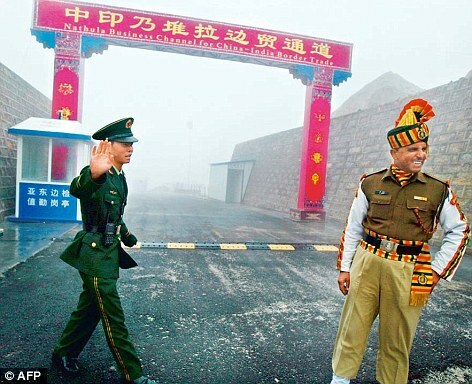 The bhai-bhai days may soon be reborn in bye-bye avatar along the India-China border. Foreign ministry documents on border negotiations accessed by Mail Today reveal that India has signalled its readiness to let its Aksai Chin region remain in Chinese hands in exchange for recognition of Arunachal Pradesh as part of its territory. In other words, India is willing to give up its claims to Aksai Chin if China does the same for Arunachal. China continues to push for territorial concessions in Arunachal Pradesh, which it has been eyeing for a long time, before moving forward on the long-standing border issue between the two countries. Publicly, India has been holding to its stated position that there can't be any territorial concessions. But behind the closed doors of the negotiating room, India has told China that it "may not be averse to status quo position". Simply put, it means that for China to give up its claim on the 90,000 sq km inside Arunachal, including Tawang, India could agree to give up 38,000 km sq of Jammu and Kashmir. That piece of land, called Aksai Chin in the Ladakh sector, has been in dispute since Pakistan annexed it and then illegally handed 5,180 sq km over to China in 1963. This contentious formula is not the stated position of New Delhi, but it is being considered a bargaining point, officials privy to the discussions have told Mail Today. Any such proposal can only be implemented if a new government in New Delhi has enormous political will, because there is an unanimous resolution of the Indian Parliament of 1962 that India will ensure that it gets back all territory illegally occupied by China. Several documents based on the notes made by Indian officials suggest that even after 16 rounds of boundary negotiations, the talks are effectively deadlocked. China insists it needs substantial concessions on Arunachal Pradesh and the entire disputed Eastern sector before a framework or a formula to resolve disputes in all sectors can be agreed to. The boundary talks are currently in the second leg of a three-stage process. Both sides signed an agreement on political parameters in 2005, and are now negotiating a framework to resolve disputes in all sectors. The first stage was to establish guiding principles, the second included evolving a consensus on a framework for the boundary, and the last step comprised carrying out its delineation and demarcation. This final stage involves delineating the border in maps and on the ground. The 16th round of boundary negotiations earlier this year between National Security Advisor Shiv Shankar Menon and Chinese Special Interlocutor Yang Jeichi, a former Chinese foreign minister, also ended on a disappointing note, with India contesting the Chinese assertion that the boundary was never demarcated. Menon has been a tough negotiator, responding strongly to Chinese suggestions of concessions and rejecting its maximalist approach. The Indian side also says that both sides should, in the spirit of mutual respect and mutual understanding, make meaningful and mutually acceptable adjustments to their respective positions on the boundary question so as to arrive at a package settlement. 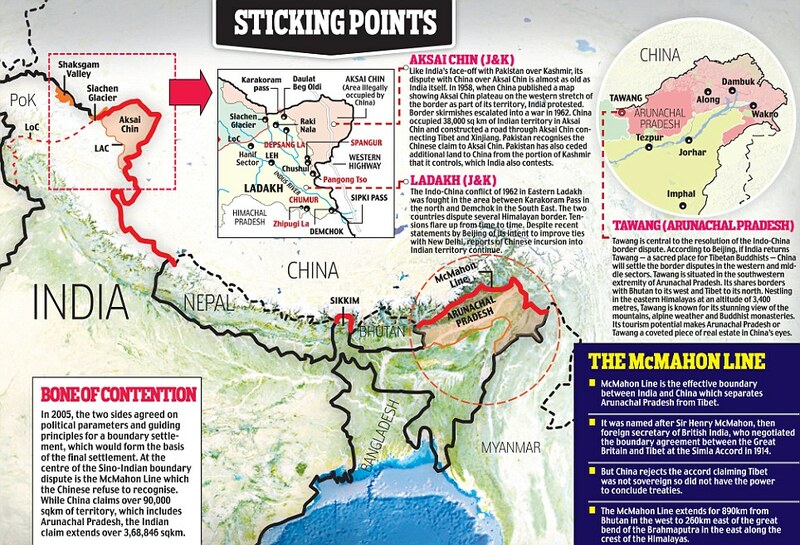 A consensus is building where India and China may agree to territorial concessions. It means that for China to give up its claim on the 90,000 sq km inside Arunachal Pradesh, including Tawang, India could agree to give up 38,000 sq km of Jammu and Kashmir. That piece of land, called Aksai Chin in the Ladakh sector, has been in dispute since Pakistan annexed it and then illegally handed 5,180 sqkm over to China in 1963.